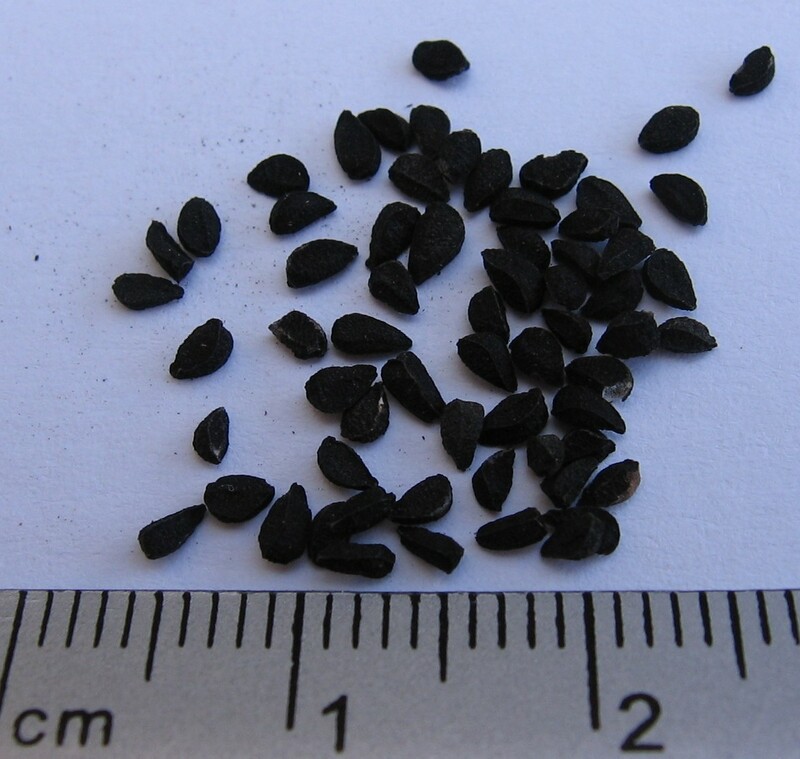 Black seed plant, also known as black cumin, or black caraway, has been used for numerous health problems and conditions. Here’s what it can do, what it might do for you, as well as side effects to be aware of and interactions with other drugs. A high-grade black cumin product, including black cumin oil, is anti-inflammatory and has been used for thousands of years as a spice and food preservative. The seed itself have shown amazing potential medicinal properties in traditional medicine. Some scientific research shows that the oil and its active ingredients like thymoquinone, have powerful antioxidant effects. Thymoquinone enhances the body’s natural oxidant scavenger system, resulting in a detoxifying effect. The oil has also been shown to have potent anti-inflammatory effects in several experimental models of inflammation. For example, it shows promise in encephalomyelitis (inflammation in the brain and spinal cord following an infection), colitis (bowel and colon inflammatory disease), peritonitis (inflammation of the membranes that line vital organs, and edema (swelling of soft tissues). Most of the diseases that are common today involve an inflammatory component. For example, cystic fibrosis, arthritis, allergies, cancer, irritable bowel, migraines, Crohn’s Disease, and pretty much any autoimmune disease. The free radicals that are produced during inflammation can also induce gene mutations and modifications of cancer-related proteins. When the seeds are concentrated, they may have pharmacological effects that include an anti-tumor, analgesic, antipyretic, anti-fungal, and antibacterial effect. At least one study shows that combining aerobic exercise with black cumin is synergistic – boosting weight loss. Researchers identified reviewed abstracts for 33 different studies related to obesity, herbal medicine, and traditional medicine. They noted that green tea, Chinese black tea, and black seeds improved outcomes for obesity. The study in question was conducted by Iranian researchers, who examined the effects of long-term Nigella sativa supplementation (the compound in black cumin seeds thought to be responsible for its beneficial effects). What they found was that, after an 8-week trial, women taking Nigella sativa lost body fat and gained muscle, and also increased high density lipoprotein (HDL) and VO2 max. Turkish researchers worked with geriatric patients who complained of nasal dryness. They tried treating them using black seed oil. The researchers compared the effect of the oil in the nasal passages of the nose to a standard salt solution commonly found in netti pot applications. The researchers also found that nasal dryness, obstruction, and crusting improved significantly when patients used the black seed oil instead of the salt water solution. There was no significant difference between the seed oil and salt water when it came to nasal burning and itching. From their study, researchers concluded that black seed oil is superior to salt water irrigation in older patients. Some evidence suggests that black seed extract could be useful for coughing, wheezing, and general lung function if you have asthma. The black seed might not be as effective as commonly-prescribed drugs therophylline and salbutamol, however. There are many other home remedies which many people claim black seed is useful for, but for which there is little scientific evidence to support. Still, the fact that many people are using black seed means that it may be working for those people and it may work for you. One health problem people use black cumin seed for is hay fever. Early research suggested that taking a specific product with black seed oil in it, might improve allergy symptoms. Some evidence does exist to support the use of black seed oil for inflamed skin or eczema. The supplementation was taken by mouth. A topical application was not found to be effective. Some individuals take black seed for high cholesterol because some studies show that the seed is effective for increasing HDL (“good cholesterol”) or lowering LDL (“bad cholesterol”). These cholesterol improvements were pronounced in people with diagnosed metabolic syndrome. Some people find relief taking black cumin seed for a sore throat and swollen tonsils. Still other people note benefits for digestive problems, claiming that black cumin seed helps the body produce bile. Some people use black seed for chronic coughs, the flu, cancer prevention, birth control, menstrual disorders, increasing breast milk flow, achy joints, and general immune system improvement. While there is much research done on black cumin seed, not all of it points to beneficial effects for all health conditions. At the same time, the seed does show amazing promise for a wide range of health issues. Kathy Serrano is an experienced nutritionist. She always likes to take the opportunity to share her insights with an online audience. Her thoughts and views can be found on a number of different websites. Hi! The black seed oil really works wonders, it really works on my end as a daily supplement I’ve been using it for a while now and guess what it detoxifies as well.